A south Mississauga woman is believed to be the NHL’s first full-time female coach. Dawn Braid, of Lorne Park, will be working behind the scenes as a power skating instructor with the Arizona Coyotes. “The fact that they respect what I do enough to name me as a full-time coach, or to name me as the first female coach in the NHL, I take a ton of pride in that. I’ve worked very hard for this opportunity,” Braid said in a statement issued Wednesday. Her decades-long resume includes stints with the Toronto Maple Leafs, Buffalo Sabres, Anaheim Ducks, and Calgary Flames. Braid is well-known in local elite hockey circles — specifically at the Athlete Training Centre (ATC), where she was director of skating development for seven years. “She’s a good coach. People want to go and learn from her,” said ATC founder Richard Clark, who runs the Ridgeway Dr. facility in southwest Erin Mills. Braid instructed a variety of pro players – including New York Islanders centre John Tavares – and “everybody saw an improvement” in his game, said Clark, pointing out Tavares was drafted first overall in 2009. In addition, Braid taught a number of OHL players, Clark said. She spent last season with Arizona part-time and is joining former NHL defenseman Mike Van Ryn and former AHL forward Steve Potvin as part of the Coyotes staff. Coyotes general manager John Chayka says Braid can provide a real competitive advantage for his team. “She’s got a great personality and the players work hard for her and respect her knowledge,” Chayka said in a statement. 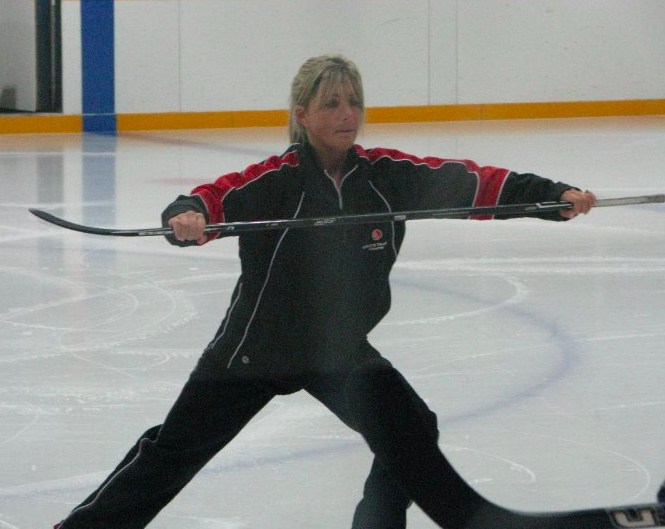 Former world champion figure-skater Barb Underhill, who also lives in Lorne Park, is in a similar role as a skating development consultant with the Leafs.